My love for anime started in 2008 during my “gap year,” you know the kind, where you ‘find yourself’ and figure out what you’re going to for the rest of your life? Instead you go out partying or, in my case, sit watching anime for 18 hours straight. Now, I have to be honest, although I love the genre, I mainly stick to the more popular series’ such as Bleach, Dragon Ball Z, Full Metal Alchemist, Fairy Tail, etc. 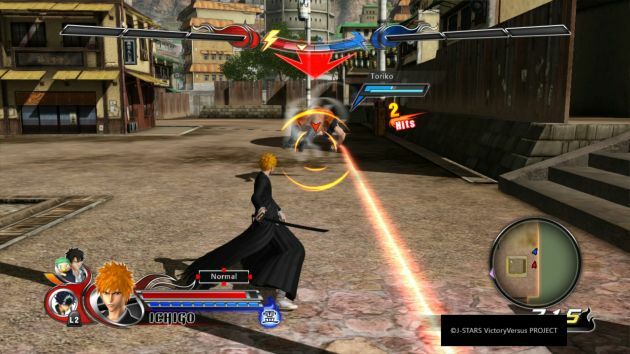 So, when presented with the opportunity to play J-Stars Victory VS+ I was equally happy and afraid. As soon as you press start, you’re hit with a barrage of popular anime characters in the intro sequence. It looks like you’re in for a massive game, but then you’ll notice how shallow it is. 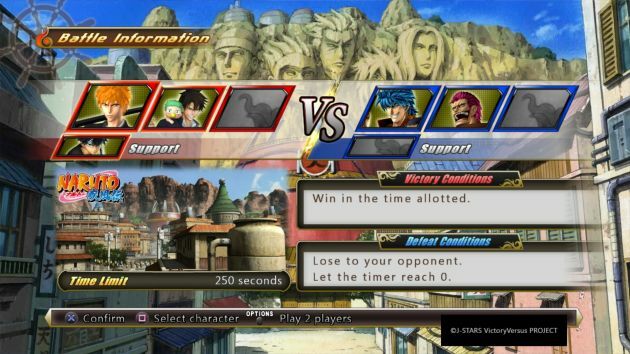 Like all fighter games, there are a variety of game options for you to choose from on the main menu. Adventure Mode (story), Victory Road (an additional mode), Free Battles and Online Battles. Let’s start with Adventure. I don’t often expect much of a plot when it comes to this genre, however, when a huge roster of anime characters – most of which come from the most plot-twisty stories – are available, I expect something interesting. What you’re given is a very basic and cliché story. You kick it all off when you select your primary character. You have four to choose from: Ichigo (Bleach), Toriko (Toriko), Naruto (Naruto) and Luffy (One Piece). Each person gains two immediate followers. 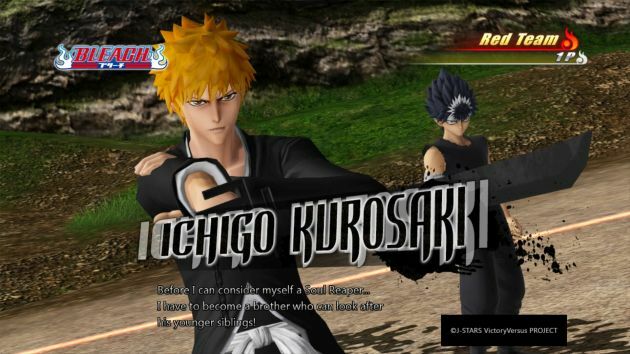 I chose Ichigo for my playthrough and received Oga & Beel and Hiei as my first optional fighters. The story begins when you are summoned by a radiant voice in the sky (God cliché, check) asking you to join in a tournament to find the best fighter (Strength tournament cliché, check). The God person gives you a little dingy so that you can travel the world of Jump (as in Shonen Jump) and get stronger for the tournament. As things progress, you find out that you need to collect three pieces of an emblem to qualify for the tournament (obligatory plot lengthener cliché, check). A few extra bits happen after that, but I don’t want to spoil everything for you. Suffice to say, don’t expect a brilliant story, or an appropriate use of these well-fleshed out characters. I must say, although the roster is fairly large (about 40), most of the characters I’m unfamiliar with. I expected to see more mainstream characters, but by the same token, this is aimed more at the Japanese market. If you’re keen on playing this game, check out the battle character roster first. 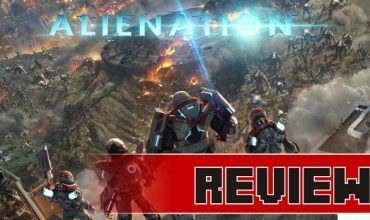 The battles themselves are fun for the first few hours and take a massive stale turn afterwards. The main reason for this is that the battle technique set up is very limited. There aren’t many combos available, and those that are, are easy to master – this coming from someone who never plays fighters. 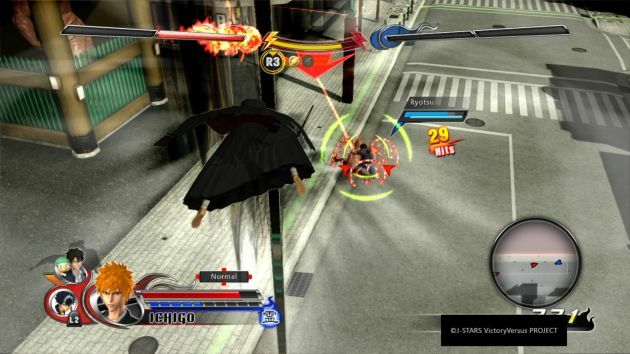 The combo moves are standard for all characters, though the actions are different. You can experiment with different characters if you’d like, which does add some freshness, but you’re not going to find anything that will test your skill. I’ve mastered the entire moveset in about 4 hours. Lack of combos aside, the victory conditions are a little different. In order to win the fight, you need to max out the victory gauge. Each enemy “down” (or K.O.) fills up the bar by one point. In most battles, there are three bars. You’ll almost always be only two characters in a fight, but the max is three, as well as a support character. The support character delivers a once-off attack and leaves the arena until the support bar is ready again. Defeating an enemy is easy enough, but you can speed things up with the Victory burst and Ultimate attack. The Victory burst gives your team some extra power and gives you the chance to do an Ultimate attack – a very strong, character specific attack. If you’re familiar with the anime, you’ll recognise the attack straight away. 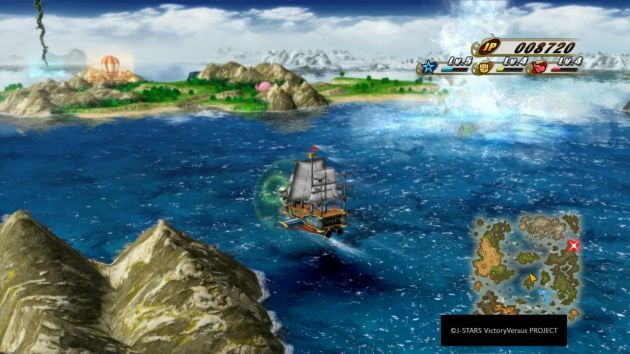 In many respects, J-Stars is more focussed on appeasing fans than it is on being a good game. Even in English, the characters still speak in Japanese (with English subtitles) which is the more popular version, even for Westerners. The first thing I noticed about the game, which came as a surprise, is that there was no update. I thought that meant it would be a bug-free game. Nope, I was wrong. After delivering the finishing blow, the game freezes for a second or so. There’re also a few locking on bugs and the ever present camera problems. Most of the level is destructible, which is pretty cool, but the camera tends to wiggle around if you’ve been kicked through a wall or floor. 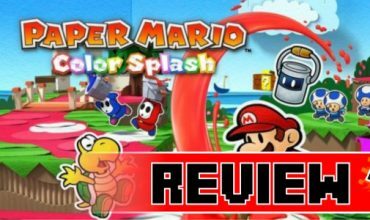 Visually, the game wasn’t upsetting, though some stages looked very bland and uninspired. The Soul Society level was particularly boring. I also thought that combining all these anime characters would make the game look weird, but they all seem to mesh well together, despite the different art style. The game also has a tendency to drag. Every time you think you’re about the finish it, something new is added to lengthen it. I’m not sure what the standard is, but J-Stars took me about 15 hours to finish. To be fair, I did complete all the side missions, but I needed them in order to unlock support characters and gain additional experience. The other modes add a lot more longevity to the game without making it feel like it’s taking forever to complete. The Victory Road section is a mini-game of sorts where you can use any unlocked characters in a series of fights. Some of the fights come with certain challenge requirements like aerial attacks, taunts, etc. It’s a fun side game which and it’s great for one or two fights. The Free Battles and online are self-explanatory, but online games are nigh impossible to come by. J-Stars Victory VS+ is a game that’s provides a fair amount of fan service, but doesn’t deliver enough oomph from the characters it uses. Although fun to play at first, it tends to get boring and tiresome. If, however, you are looking for a light game that’s easy to master, and you’re a fan of anime, then you might enjoy it. If not, step away. 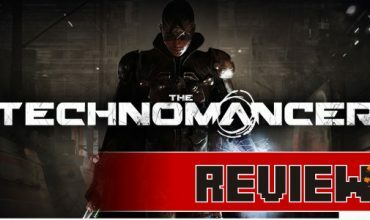 Worthy game or cheap rip-off?